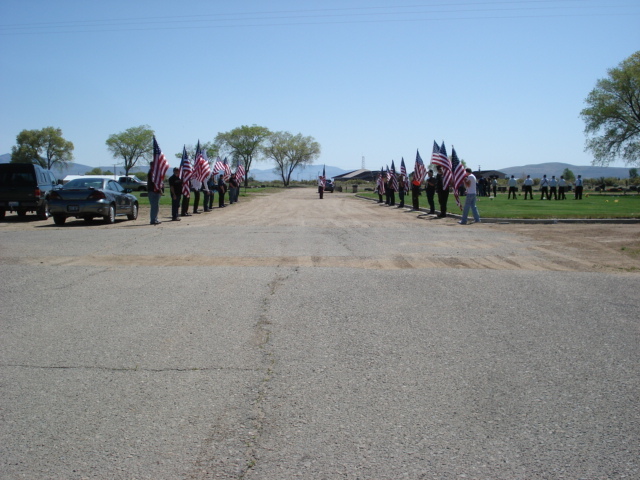 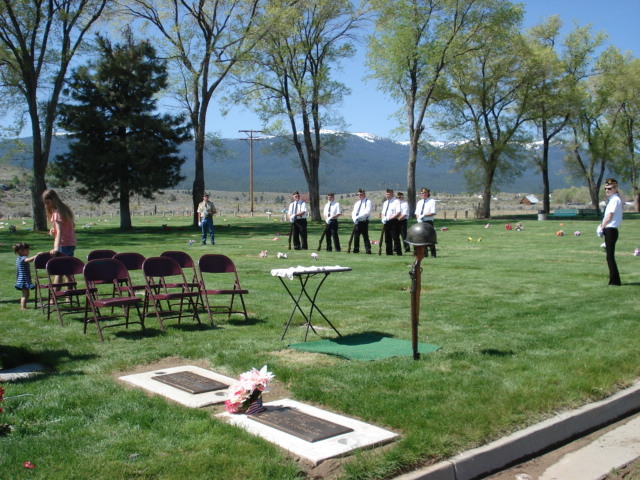 On a beautiful Spring Day, the Susanville Patriot Guard Riders stood a Flag Line in Susanville Ca. 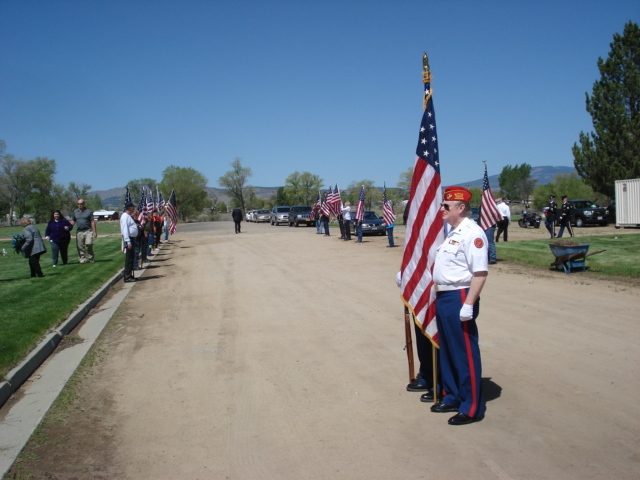 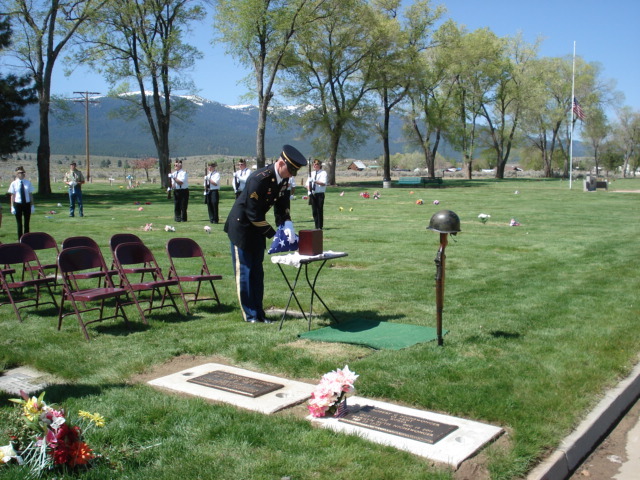 to honor the service of WWII Veteran Dale Pierce. 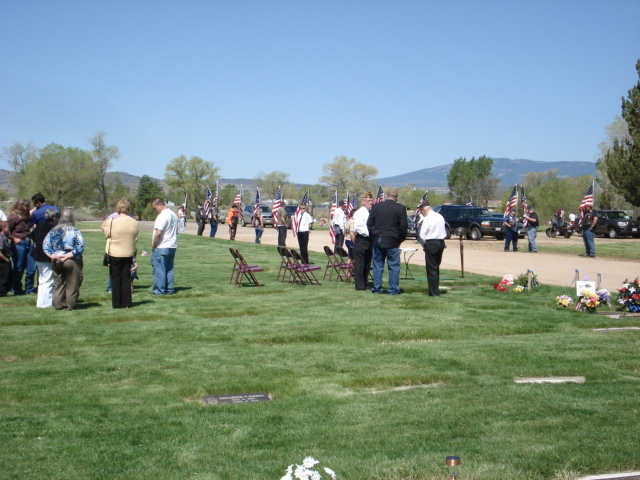 A member of the Greatest Generation, Dale answered the call to arms at the age of 17 and joined the U.S. Navy where he served honorably through the Okinawa Campaign and through the end of hostilities. 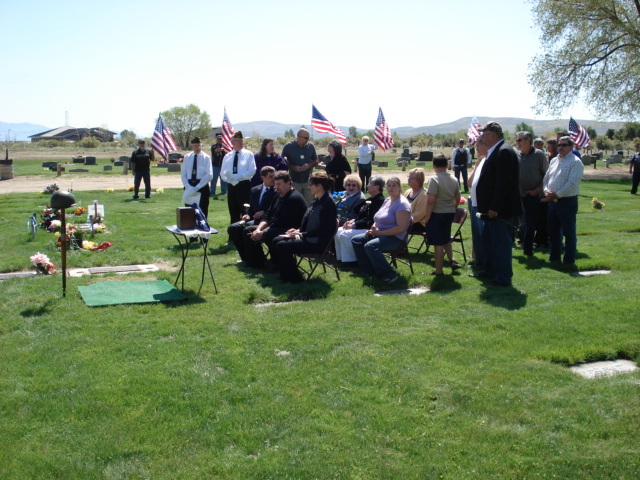 Dale’s family appeared please with the community’s response in appreciation of their father’s service and sacrifice for his Country. 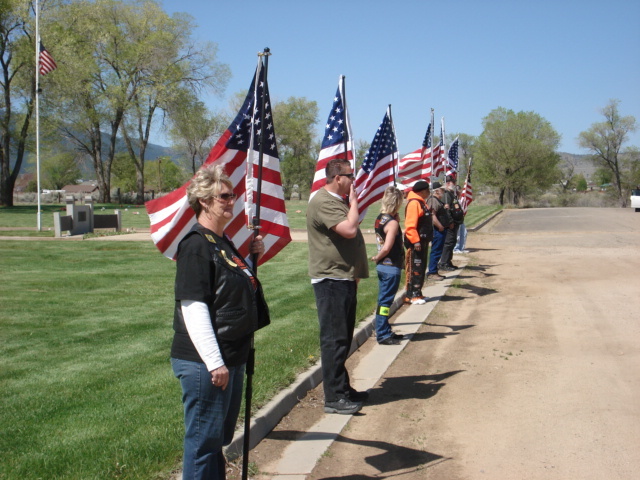 Fifteen representatives from The Patriot Guard Riders were on hand to provide “Honors” for this fallen warrior, and they came from far and wide. 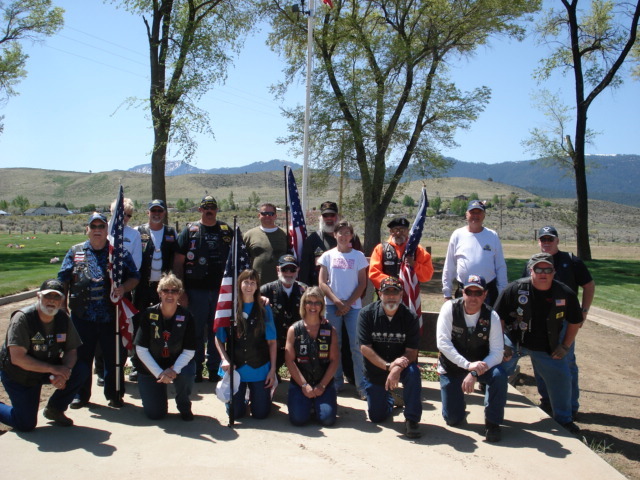 Some of the attendees were from Redding, Alturas, Quincy and 3 rode up from Reno. 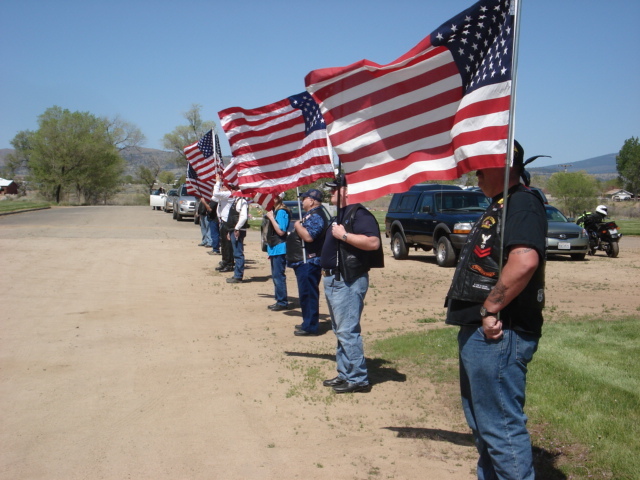 I would like to thank these Patriots for their time and their dedication to their fellow Veterans. 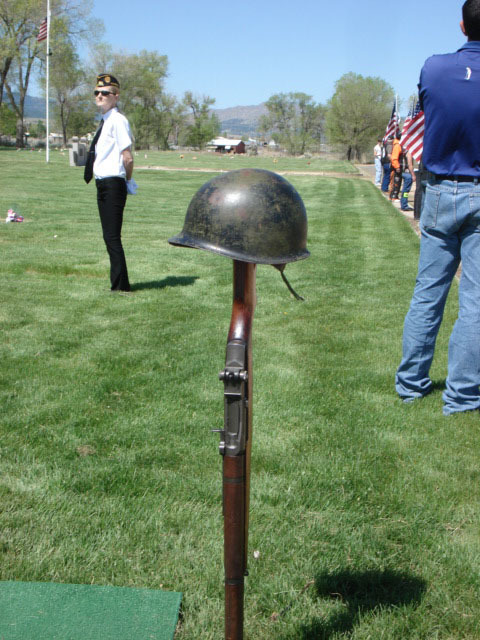 Motor Machinist Mate Dale Pierce, your watch has been stood, your duty is complete, and may you now rest in peace. 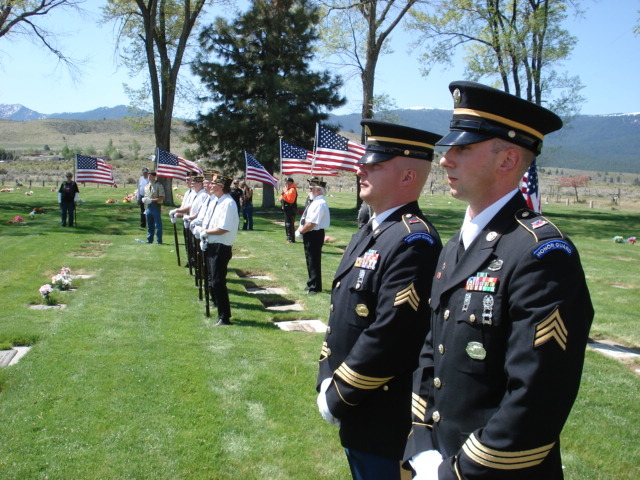 We, your fellow Veterans, salute you and thank you for your service to this country we love.